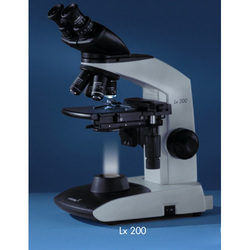 Pioneers in the industry, we offer cxl, monocular microscope hl, labomed lx-300 (led) binocular microscope, labomed lx200 led microscope, cxr microscope, slit lamp microscope and prima gn microscope from India. Co-axial coarse and fine focusing on ball drive system for smooth operation. BRASS rack and pinion stage drive. Fine drive movement 0.3mm/rotation. Quadruple nosepiece turret (Ball bearing type) with rubber grip. Sub stage Abbe condenser NA 1.25 with aspheric lens. Iris diaphragm with snap-in blue filter. Rack and pinion movements on metal guides. 45? inclined, 360? "captive" rotation, Interpupillary distance 54 - 74mm . Pointers & Micrometer Reticules. Phase, Polarizing, and Dark Field Kits. Application Specific Objectives and Eyepieces. Cord Hanger Kit. Digital Camera (3MP) and Adapters. Power Cable (6ft). Cargille Immersion Oil (with 100x configurations) .Nylon Dust Cover & Cleaning Cloth. Styrofoam Casing. Rectangular stage 135 x 124mm, X/Y travel range 76mm x 50mm. Low drive movement controls, single specimen holder. Pointers & Micrometer Reticules. Phase (Simple & Zernike), Polarizing, Fluorescence and Dark Field Kits. Dual Viewing Bridge . Quintuple Position Viewing Bridge. Application Specific Objectives and Eyepieces. Cord Hanger Kit. Digital Cameras (3MP, 5MP, 7MP) and Adapters .Kohler Kit. Ceramic Stage Upgrade. Double plate stage 150 x 135mm, X-Y travel range 75mm x 40mm with low-height controls. Hard coated surface for scratch resistance. Double specimen holder. Stand: Robust one piece Die Cast, with poly-carbonate hand rest for comfort during long hours of use. Viewing Bodies: Binocular or Trinocular Viewing Body 45° inclined, 360° rotatable dovetail. Interpipullary distance adjustable 54-74mm. Vacuum coated Prism for better transmission and anti fungus character. 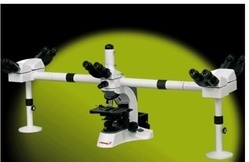 Eyepieces: Wide Field eyepiece WF10x/18mm both focusable with foldable eye guard. Objectives: DIN Semi-Plan Achromatic objectives 4x, 10x, 40x (spring loaded), 100x Oil (springloaded) anti-fungus coating. PAR-CENTERED & PARFOCAL. Mechanical Stage: Rectangular stage size 135 x 124mm, X/Y travel range 75mm x 50mm, Low drivemovement controls, single specimen holder, with ball slides for smooth motion. Nosepiece: Quadruple nosepiece (Ball bearing type) with rubber grip. Condenser: Sub-stage abbe condenser NA 1.25 with aspheric lens. Iris diaphragm with snap-infrosted white filter. Rack and pinion movements on metal guide. Focusing: Co-axial coarse and fine focusing on ball drive system for smooth operation. Fine drivemovement 0.2mm/rotation with Tension Control knob. Illumination: 3W LED illumination with variable illumination control. Up to 50,000 hours of LED life.Rechargeable Lithium Ion Battery Provide long Hours of Battery Backup incase of electricity failure. Electrical: Built inside power supply with rechargeable Battery Pack on easy replaceable plasticmount. INPUT 150V - 240V with removable power cord & ON/OFF switch & proper fuse holder. 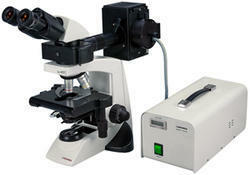 CXR series research microscopes are of ergonomic design suitable for most applications in transmitted light microscopy. CXR model display a state of the art understanding of operator requirements and comfort. 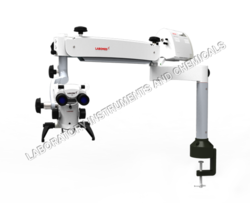 The quadrupple revolving nosepiece is carefully positioned so that it face inward and objectives pointing away from the user so that they will not interfere with operator. CXR equipped with CF contrast LB objectives having monolayer coatings to reduce internal reflection, thus ensuring high contrast image. WF 10x eyepiece with extra large of 20mm field as well as a high eyepoint suitable for observers wearing eyeglasses. 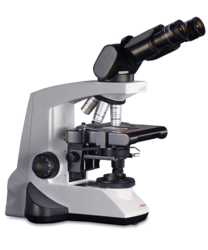 The eVO 400 delivers a streamlined design with high precision apochromatic optics for accurate anatomical observations, corrected for spherical and chromatic aberrations to ensure comfortable and reliable use. Eco-friendly illumination options, lead-free high dispersion glass, paints and materials minimize the system's environmental impact without sacrificing performance and durability. The eVO 400 represents all that a slit lamp should be. The Prima GN is an ideal solution for surgical and diagnostic work given its superb optical and mechanical performance, ensuring many years of carefree use. 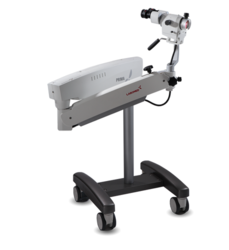 With an intelligent LED illumination system that runs long and cool, an ApochromaticGalilean optical system, and fluid articulation, the Prima GN integrates seamlessly with any OB/GYN practice. The Prima DNT Trainer is designed for training and educational facilities looking for table top configurations without sacrificing on performance. A MaxLite™ coated apochromatic magnichanger promises superior image fidelity. 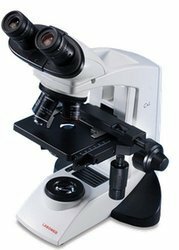 A tailored arm enables a lower center of gravity, ensuring a well balanced and vibration free dental microscope that won't monopolize workstations. 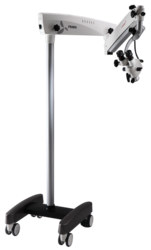 The Prima ENT microscope reflects a performance driven design with modularity in mind for the evolving needs in ENT clinical and surgical routines. 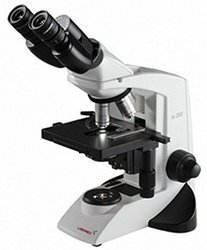 With an intelligent LED coaxial illumination system, crystal clear optics, and fluid arm movement, the Prima ENT microscope stands apart as a smart choice. Illumination True Köhler illumination with halogen 6V-30W lamp with variable illumination control. LED option available. Stand: Single mould Sturdy stand with anti rust materials. Extended base with hand rests forenhanced stability and comfort. Eyepieces: Wide Field focusable paired eyepiece WF10x/20mm, anti-fungus coating, graduated ringfor setting of individual Eye Diopter. Special Eye-guard: a pair of well tting soft rubber pieces to protect the eyes and block stray light tooffer perfect fluorescence observation. Nosepiece: Reverse angle Quadruple nosepiece (Ball bearing type) with click stops and rubber grip,anti-gungus coating. PAR-CENTERED & PARFOCAL on CNC Machines. Objectives: RP series DIN Innity Corrected Plan Achromatic objectives 10x, 20x, 40x (spring loaded), 100x Oil (spring loaded) anti-fungus coating. Specially corrected for Fluorescence. Mechanical Stage: RACKLESS X-axis, double plate mechanical stage size 200 x 160mm X/Y travelrange 78 x 54mm. Low drive movement controls. Hard coated surface for scratch resistance. Slideholder to accommodate up-to two slides. Condenser: Sub-stage abbe condenser NA 1.25 with aspheric lens and Iris diaphragm. Rack andpinion movements on stainless steel guides. Day light blue filter provided. Focusing: Co-axial coarse and fine focusing on ball drive system for extremely smooth operation. Illumination: Incident & Transmitted - LED illumination with variable illumination control.Rechargeable Lithium Ion Battery Provide long Hours of Battery Backup incase of electricity failure. Essential: Rechargeable battery pack (6 V DC)of minimum two hours with charger working with220– 240 V AC,50 Hz supply, for online and offline power. Electrical: Input 180v-240v AC, with removable imported cord. Orange colored Plastic screen to safeguard the Operator from UV light. 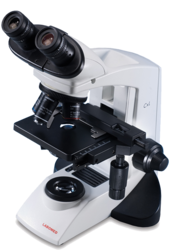 The Prima OPH is a versatile microscope designed for both surgical and clinical environments. 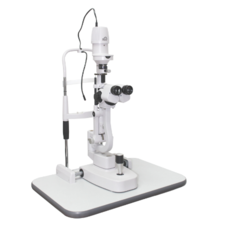 With an intelligent LED illumination system that runs long and cool, an Apochromatic optical system, and superb RedReflex system, and motorized movement, this microscope delivers on the promise of high performance at affordability.